There’s still two more weeks before the official release of Still Human <淪落人>, but it is already on its way to becoming movie of the year. Still Human, the debut feature of Oliver Chan (陳小娟), tells the story of two very different individuals who help each other navigate through different stages of life. Anthony Wong (黃秋生) plays Leung Cheong-wing, a paralyzed man facing a midlife crisis, and Crisel Consunji plays Evelyn, his Filipino domestic worker who has to put her dream on hold to earn a living. The film had its local premiere in November 2018, but the film will not be open to the public until April 11, 2019. Still Human has already swept several prestigious awards, including Best New Director for Oliver Chan at the 13th Asian Film Awards, Best New Artiste for Crisel Consunji at the Hong Kong Film Directors’ Guild, and Best Actor for Anthony Wong, winning critical acclaim. 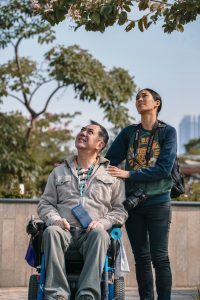 It’s not a surprise to see Still Human sweeping the critics’ heart—the film’s heartwarming and inspiring story between a paralyzed veteran and his young aide is a winning formula for awards. But it wasn’t the script that drew Anthony to the film. It was its relatability. Still Human was produced with a small budget of HK$3 million, not nearly enough to hire a two-time award winning movie star like Anthony. To ensure that the film gets made, Anthony opted to do the movie for free, but was promised to get compensated through bonuses if the movie made money. All of these sacrifices, and it wasn’t even for the script. Anthony’s character, Leung Cheong-wing, became paralyzed waist-down after a construction accident. Hitting that awkward stage of being middle-aged, he felt hopeless and stuck. Anthony, too, is at a stage in his life where he is neither remembered nor forgotten. His strong political views has prevented him from expanding his career to China, “paralyzing” his career. 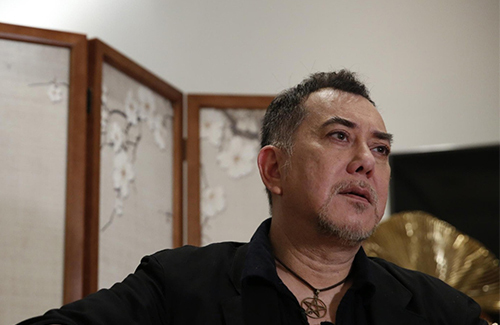 Anthony Wong will be contending for Best Actor at the upcoming Hong Kong Film Awards, alongside Crisel Consunji for Best Actress and Oliver Chan as Best Director. 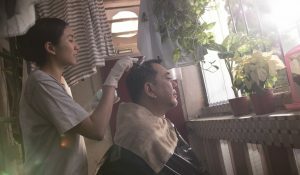 4 comments to Anthony Wong “Still Human” Interview: What’s the Point for a Useless Person to Dream? Sounds like an amazing film. I will catch it if I can. @jimmyszeto Yup! These are the types of films that I tend to love – small budget, new director, heartwarming story, with obvious care put into the script and overall production. And it’s great to see big name actors like Anthony supporting new directors – this has been a trend in recent years (A-listers filming for new directors for little to no pay) and I hope it continues, as it has been a long time since people have paid attention to HK films. The music and television industries in HK are already dead and technically the movie industry is too, but there has been a glimmer of hope in recent years with some truly good quality HK films that have come out….not sure how long the revival will last but enjoying it while it does!